Well, the internet appears to be broken. Or else I am not as proficient at using it as I thought I was. Has my technology addiction failed me after all? 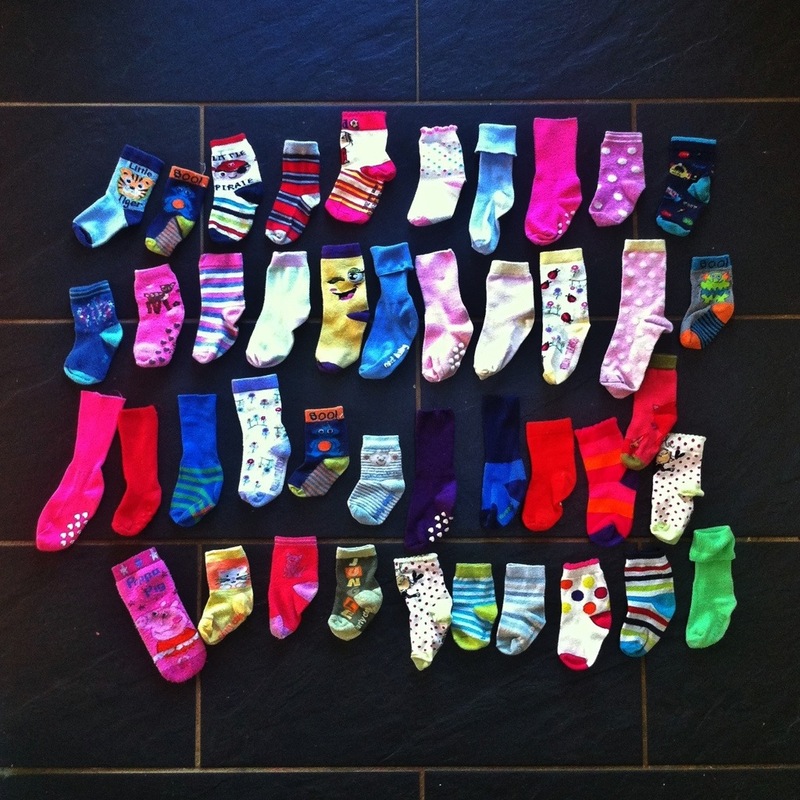 Can it really be true that it is not possible to source multi-packs of childrens socks with all of the socks bearing the same colours and/or patterns?? The sock situation in our household is perplexing. We’re down to about four matching pairs for each of my two children. It’s interesting to speculate about where they disappear to (mysterious compartment in the washing machine/domestic sock monster/domestic sock monster resident in washing machine) but instead of attempting to prevent the problem, I thought I’d at least try to mitigate against its impact by stocking up on many socks of the exact same design. But they don’t come like that in the shops, OR, apparently, on the internet. They aren’t really sold just one pair in a pack, and all the multi-packs come with socks of radically different patterns, replete with deliberate obsoletion because, I am sure, sock manufacturers cynically know ALL about the domestic sock monster. I am astounded that there appears to be no entrepreneurial, consumer-focussed sock producer out there that appreciates the problem of odd socks and who could enterprisingly undertake to sell multipacks of many pairs of the SAME colour and pattern. Because I will buy them. Meanwhile, what am I supposed to do with all these odd socks*?? They make a pretty picture though! It’s a JOB in itself isn’t it! But it’s like fighting the tide. The sock monster WILL win.